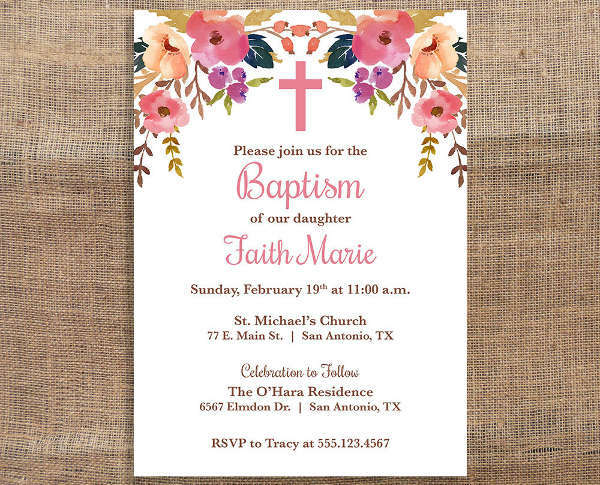 A baptism is a religious ceremony done by Christians and other denominations as a rite of passage to becoming a full pledge member of that sector in the community. By then, the baby or person is expected to follow doctrines and practices in accordance with the teachings and beliefs taught. This special moment in a person’s life is celebrated and done with closest friends and families. Invite people by sending invitation cards to them. 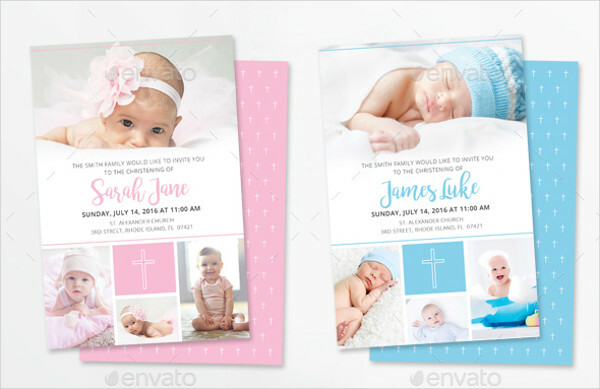 You can find these invitations online in templates or samples. 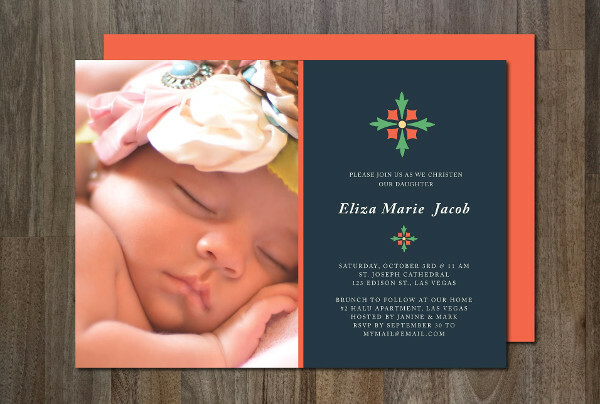 Tweak the invitations you download to tailor them to your needs and have them printed out and sent. The choice of who to invite remains on the decision of the parents or individual (when able to decide) who gets to be baptized. Make a guest list to know who you should prioritize when giving invitation templates. 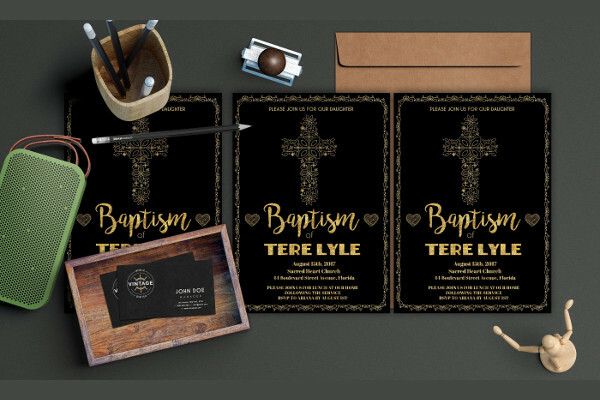 Mostly, immediate family members are given invites first, then the godparents if there are any, and lastly, the guests who will be attending. Prioritize those that are really needed during the ceremony. On your invitation, you must have the date of the ceremony, the time, and the location of both where the ceremony is done and where the party will be. 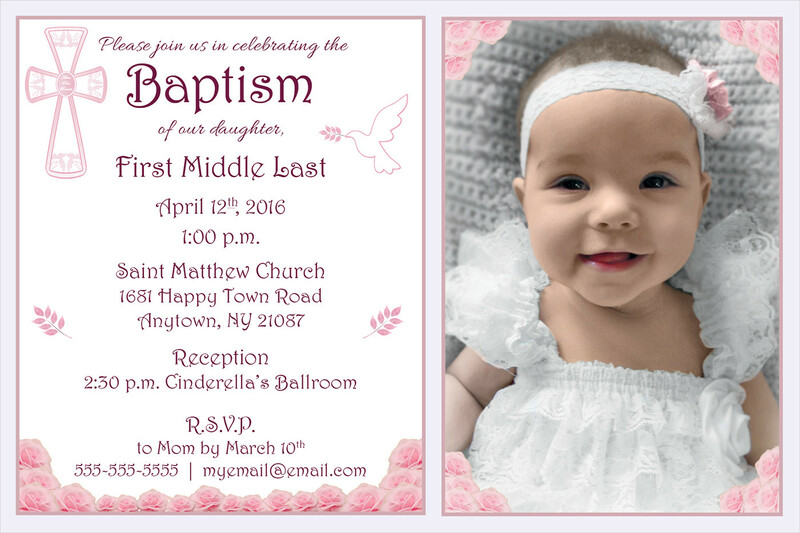 Aside from that, you should write the name of who will be baptized as well as the RSVP contact details. Should guests wish to give gifts, you can include any gift registry available if there are any. 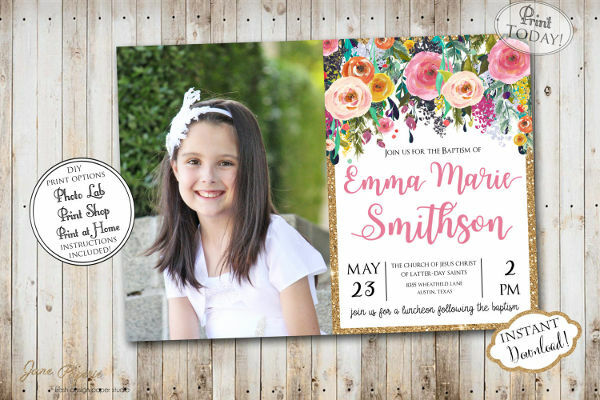 Ideally, invitations should be sent at most two weeks before the event. This is to give enough time for guests to prepare, especially for godparents. 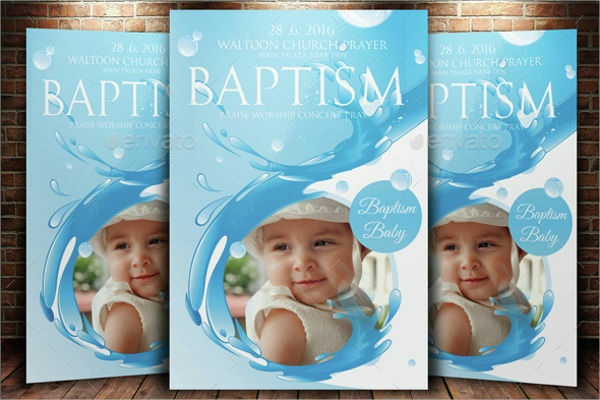 Most denominations require counseling and a pre-baptism seminar for the godparents. Advanced notice will also give you enough time to gather the RSVP responses to know how many will attend and who they are. 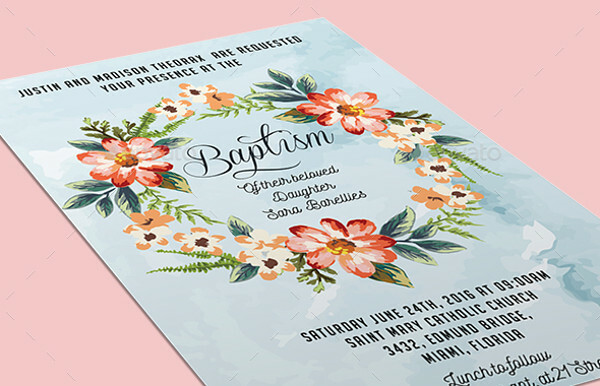 Floral invitations lavish in different types of flowers. 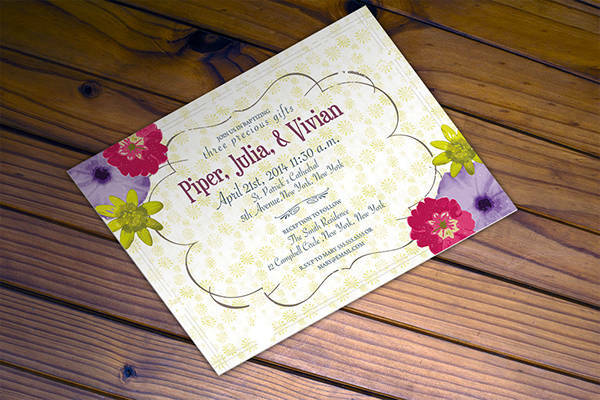 Some invitations use watercolor-painted flowers while others use vector designs. The advantage of this style is you won’t need to do much work. A simple border of flowers or a bunch of flowers on one side will do the trick. Opposite to floral is the minimal theme. It mostly uses a single color for the background and may or may not have any texture. It also has one color on the texts that contrasts the background for emphasis. The only accents you would commonly find in this style are lines and basic shapes. Given that this is a religious celebration, some would opt for formal invitations. These would have script fonts as their main typography plus some serif fonts on the details. 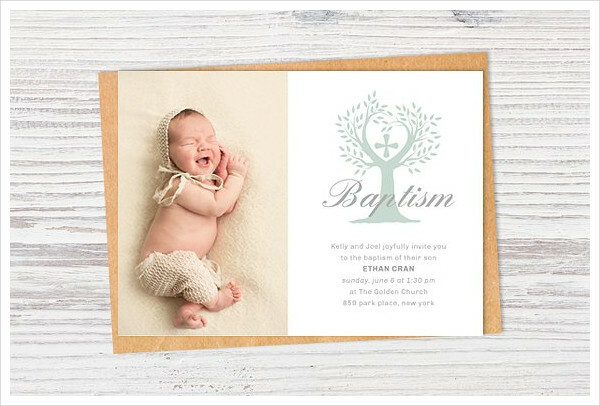 This will most likely have borders and professionally taken photos rather than candid shots of who will be baptized.